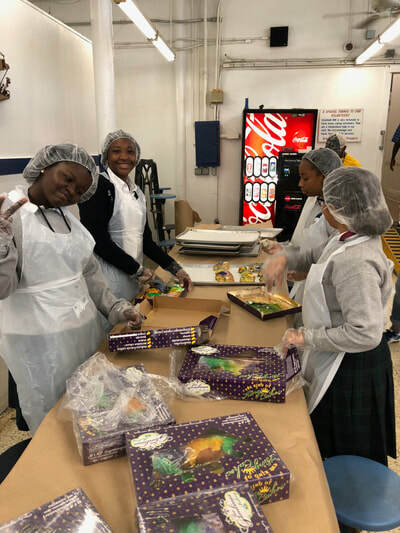 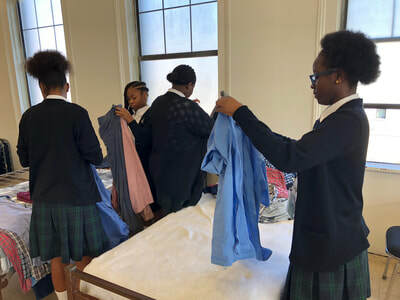 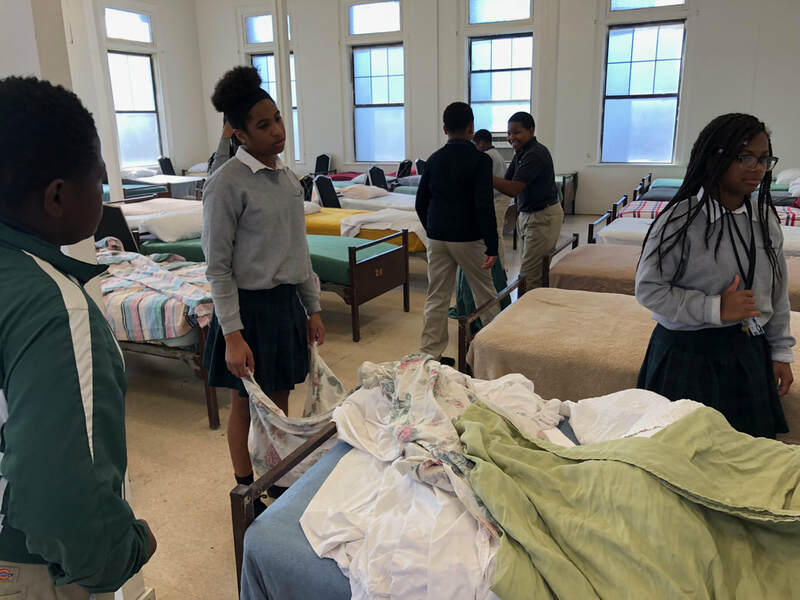 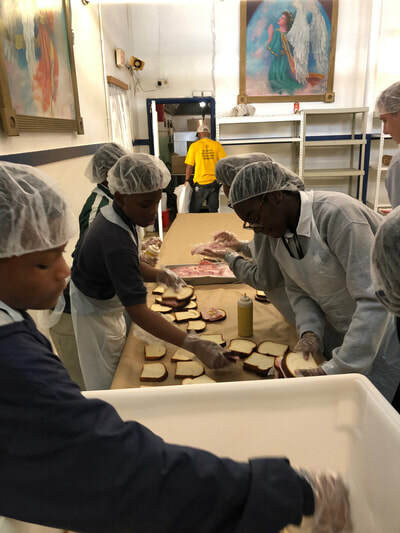 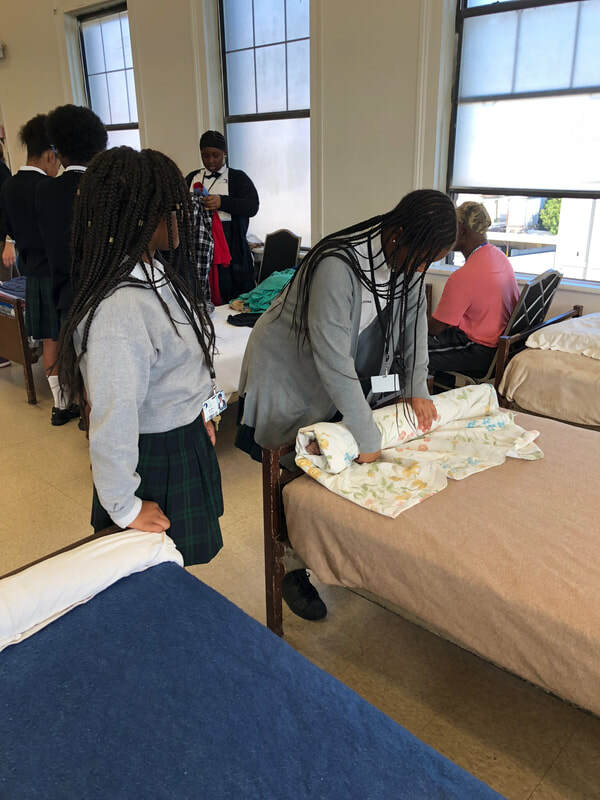 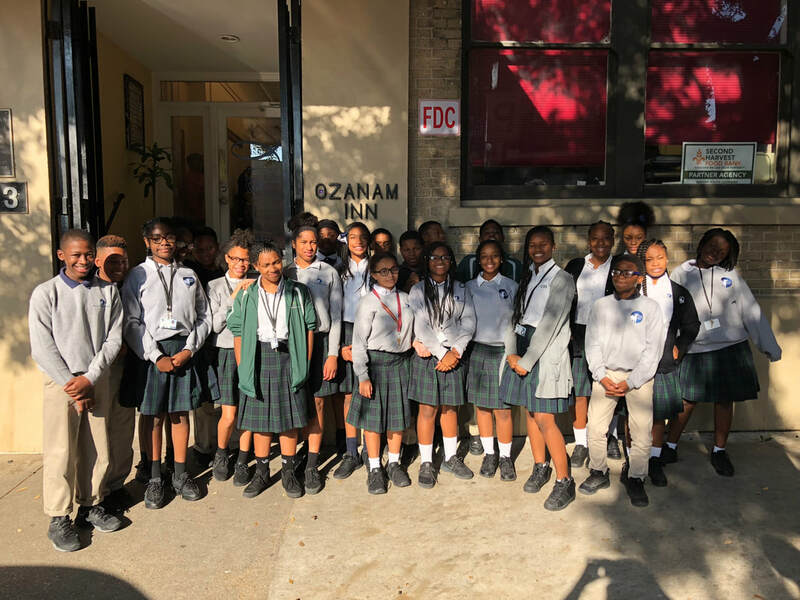 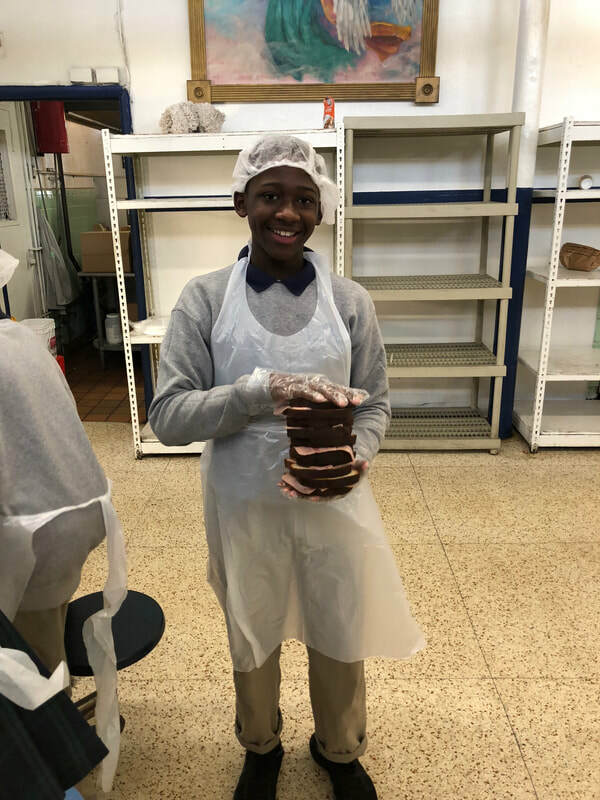 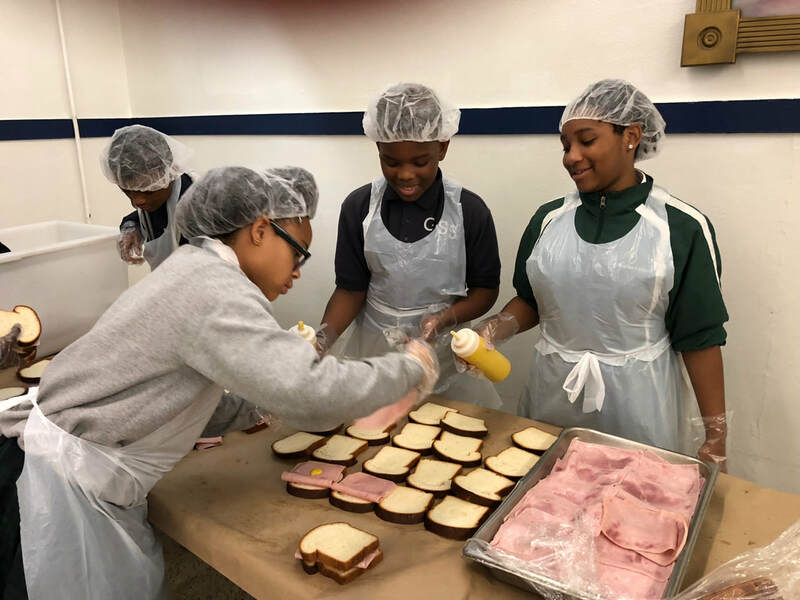 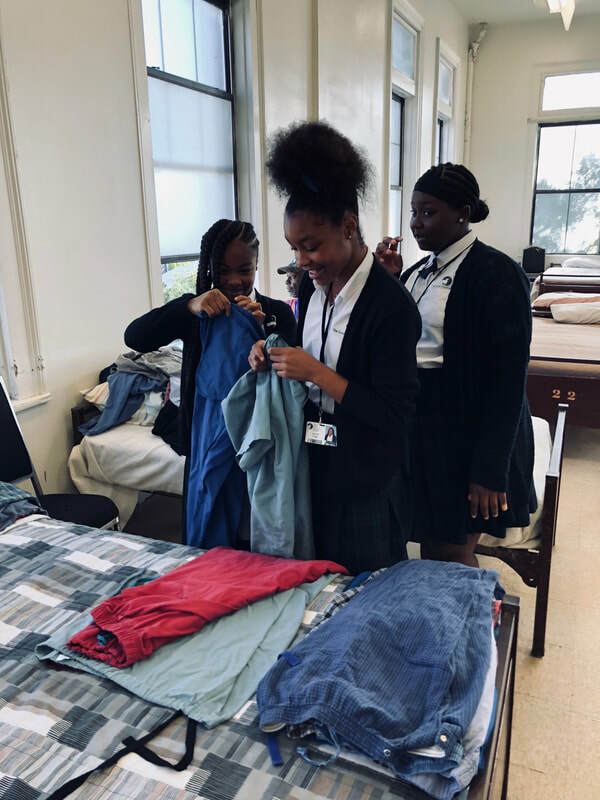 The 7th grade students visited Ozanam Inn, a homeless shelter that provides overnight housing for about 100 men per night and over 300 meals daily. The students made sandwiches and folded clothing and linens for the shelter’s clients. We were able to complete this service project through a generous grant from the Brown Foundation.